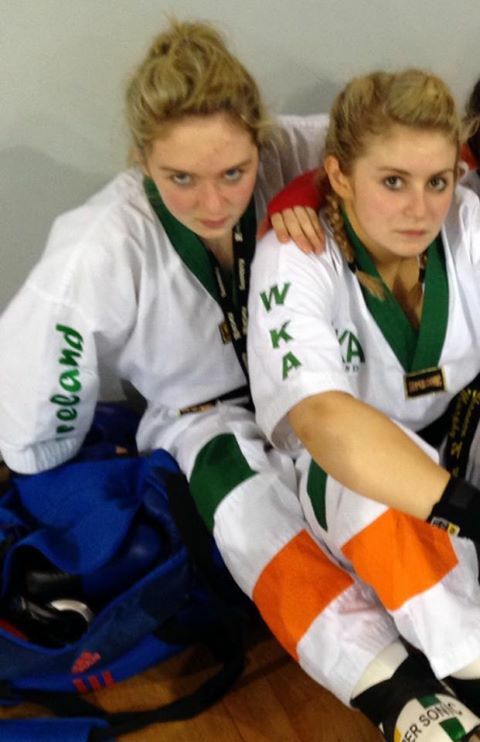 Congratulations to Emma Flanagan and Shannon Murphy who are enjoying a great world Championships in Greece.. Shannon has won two Bronze medals, a silver and a gold in the Team Sparring. But the 2013 world championships belong to Emma Flanagan. The Coachford girl has picked up four gold medals. 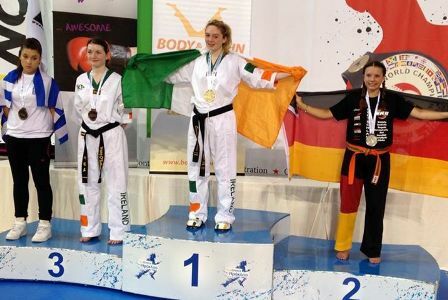 Emma has won gold in points, continuous, full contact and eam Sparring (a first for any Irish competitor). This is a huge achievement for Emma and Shannon. The world championships are very competitive and see the best competitors in the world compete against each other. For Coachford to have two young girls competing at this level is something the whole community should be very proud of. Irish team comprising of Shannon Murphy (Coachford), Emma Flannagan (Coachford), Tríona O’ Sullivan (Millstreet) and Lily Mannion (Athlone) beat the German national team and gained a measure of revenge for loosing to them in 2012. The final score was 2 bouts to 1..